The words “English country manor” bring to mind sprawling grounds, roaring fireplaces and dark-haired, brooding masters of the house. What they don’t conjure up? Water slides. 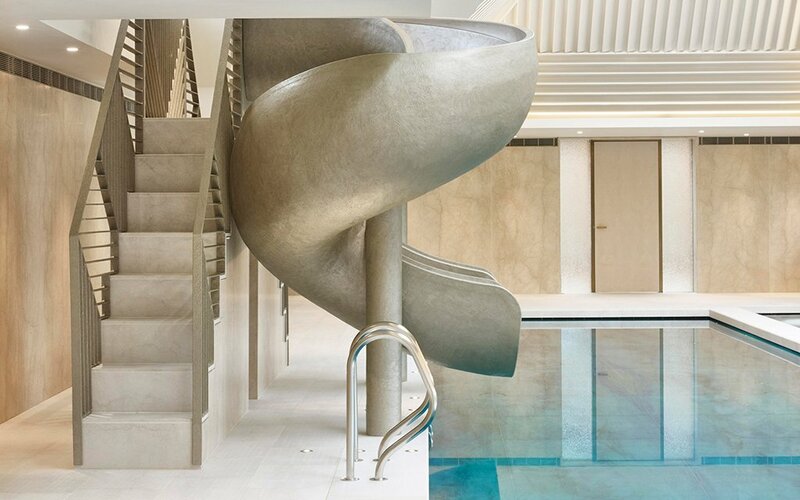 Unafraid to defy convention, New York City-based architect Rafael de Cárdenas, and his practice Architecture at Large, included two water slides in a luxurious pool house built adjacent a mid-19th century abode in the English countryside. To do so, two symmetrical, corkscrew fiberglass slides were installed with a hand-applied resin finish, stymieing the typical elementary-school-birthday-party vibe. 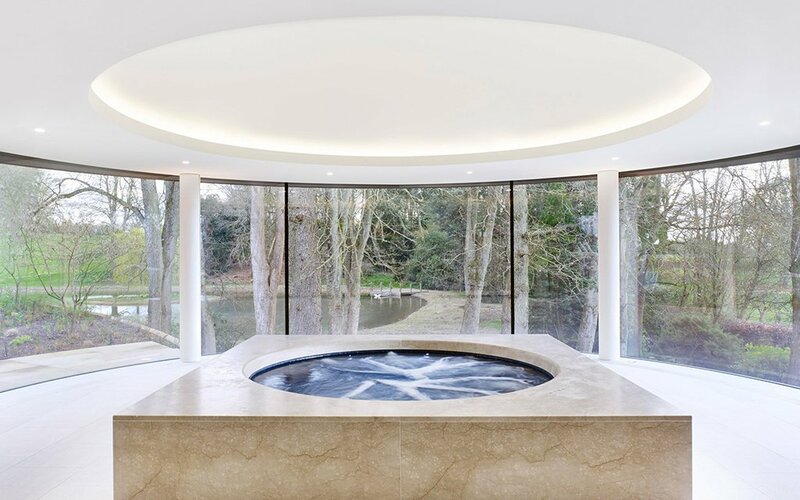 Additionally, a square-set hot tub is encircled in glass windows on one end, while perpendicular patches of finned fiberglass on the ceiling control the noise and the Botticino marble floors treated with an anti-slip finish keep the kids safe. 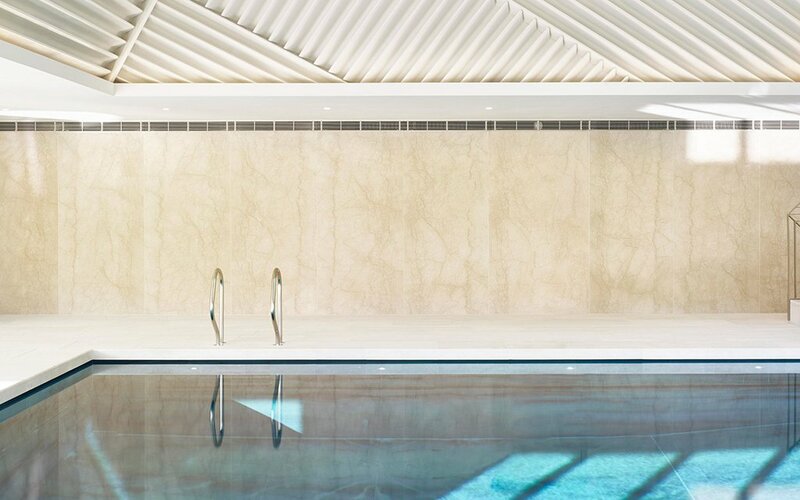 For aesthetic value, Azul Macauba quartzite coats the inside of the pool, creating a deep blue color. 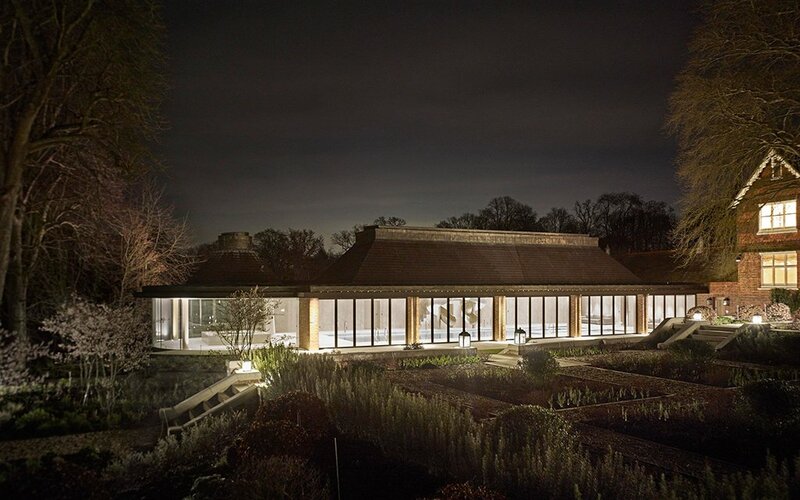 Designed in collaboration with London firm Purcell, you’re not likely to find anything quite like it elsewhere in the hinterlands. But now you know: water slides can be sophisticated.